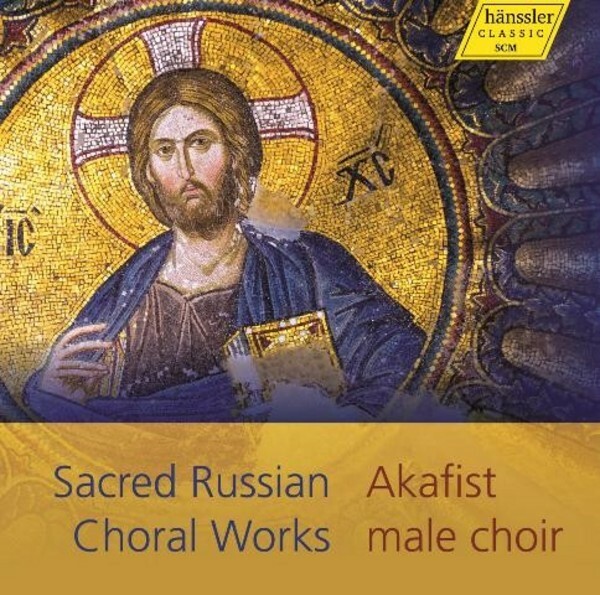 The Russian men‘s chamber choir Akafist, directed by Andrei V Malutin, are dedicated to the great tradition of Russian choral art and are masters of Orthodox liturgical singing. The choir displays an impressive range of timbres of male voices, from the very high countertenor to the deepest basso profundo. Sonorous intonations and incredible vocal colorations bring this program of sacred works devoted especially to Easter vigil to life, and provide a glimpse into the sacred soul of Russian choral chant.